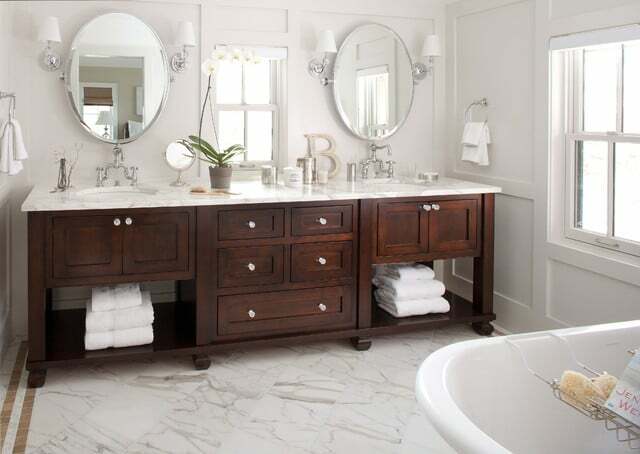 Offering an enduring and elegant quality, the traditional ‘washstand’ is the perfect fixture in an all-white bathroom. They don’t typically provide drawer storage but are looked upon fondly for their vintage appeal. Very early models were called ‘basin ‘stands’ – before the convenience of a sink with running water became readily available. Similarly, the ‘single sink’ is simple in its efficiency. With wall-mounted faucets you can increase space and contribute to a sleeker appearance. They often incorporate a cabinet beneath, thereby relieving concerns related to small accessory storage. The freestanding vanity can be curvaceous and chic. Resembling a piece of Victorian-era furniture, it has a seamless molded sink with flat counter top ‘wings’ that accommodate the display of related accessories. Directly below the sink you may find a cupboard designed for additional storage. When storage is not necessary, extra non-traditional options become available. Forgoing the cupboards and drawers typically affiliated with a vanity, the ‘Perch on a Plinth’ concept embraces simplicity. A decorative plinth hangs from the wall upon which lies a contemporary sculptural sink (or two). It is artfully primitive and homey. On the other hand, when as much storage as possible is needed, a large vanity equipped with equally spacious drawers set beneath is ideal. Featuring ample counter space for immediate access to toiletries such as soap and washcloths, the wide and deep pullout drawers provide ample room for everything else – towels, a hairdryer, curlers, makeup sets, etc… the only challenge you may experience is in finding everything! Meanwhile, if you prefer an unobtrusive presence in your bathroom, a petite vanity is just the ticket. A variety of styles makes it the perfect touch to accompany any taste preference. Whether it’s antique, a modest modern, or a rustic cottage style that appeals to you, there’s a petite model for them all. 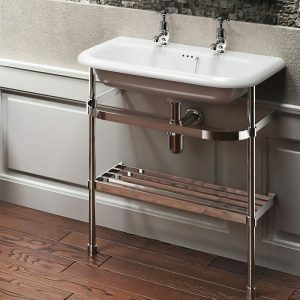 The wall-mounted or “floating” vanity is ideal for bathrooms of limited space. It provides a clear area above the floor which may roof a variety of items and is relatively easy to maintain. 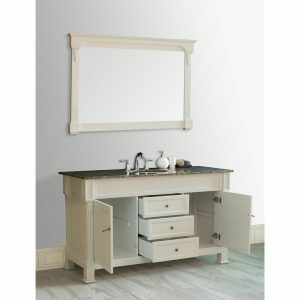 Ultimately, a custom vanity may be what you really desire. Constructed to meet your specific requirements, such a specialty is tailor-made for your bathroom. Anything goes. Do you need two sinks, one for you and another for the significant other? No problem. How about a marble counter top? You got it! Perhaps a collection of drawers in a variety of sizes is to your fancy? Sure, why not?! 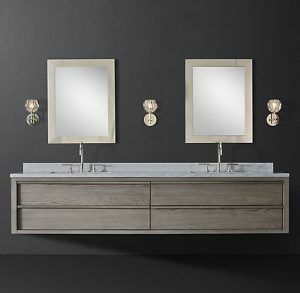 With so many designs, configurations, colors, and options to indulge yourself with, you may not have to be vain to choose a vanity – but it couldn’t hurt.